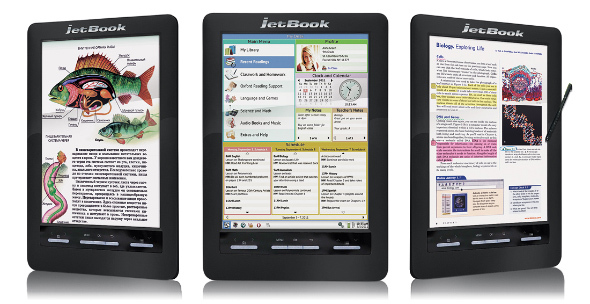 Ectaco has quietly released its second generation Jetbook Color e-Reader today and the most exciting aspect about it is that it is using e-Ink Triton 2. E-Ink Triton 2 is the next generation color display screen for your traditional e-reader. This is an added layer of film that will give customers a higher degree of contrast and better color display compared to the previous generation. Triton 1 had a grid of 2×2 pixels, red, green, blue, and white, and used a square color filter array. Meanwhile, Triton 2 has the same color display, but instead of using square pixels it is using rectangular. It should give you 4096 degrees of color with 16 levels of each. One of the ways Ectaco differentiates itself from the competition is by marketing this device towards students and schools. The company has run successful pilot projects in New York and many schools are starting to use the Jetbook Color in the classroom. 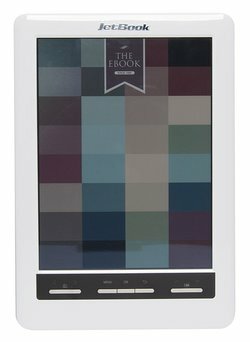 The e-reader is bundled with tons of primarily and secondary education software. You can prepare for the SATs, do math and spelling problems, or try advanced physics. The Jetbook Color 2 is basically the same hardware as the first generation device and the main difference is the screen and the faster performance because of it. The e-reader itself features a 9.7 inch e-ink Triton 2 Display with a resolution of 1600×1200 pixels. Underneath the hood is a Freescale i.MX508 800MHz with ARM Cortex A8 CPU processor. Unfortunately, this processor is woefully underpowered for what this device is intended to do. Navigating menus, turning page pages, or launching programs demands an exercise in patience. There is a solid 4 GB of internal memory, but with all of the student programs bundled on the device you have around 2 GB to work with, which is more than adequate. If you demand more space for your music, books, and other content you can expand it via Micro SD up to 32 GB. Ectaco is currently selling these units for $499.99 and they are on sale now on Ectaco’s WEBSITE. Below is our hands on video of the Jetbook Color 2 at CES this year.